Is there any season better than autumn when it comes to spending time outdoors and enjoying the trees changing color? 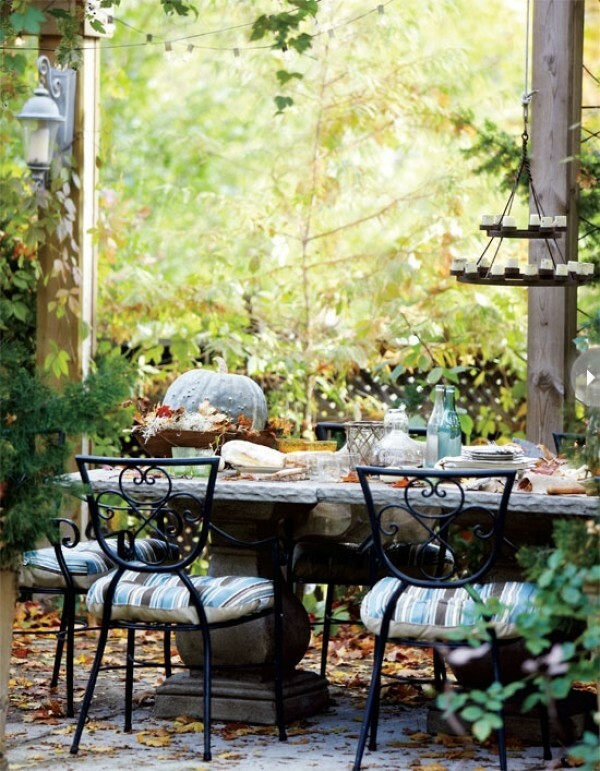 Welcome autumn into your outdoor home! 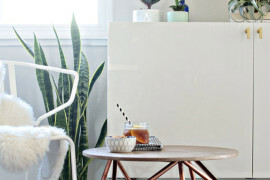 Of all the areas of your outdoor home, your front entry is where your guests are greeted with a warm welcome, and passers-by get a glimpse of your festive hospitality. 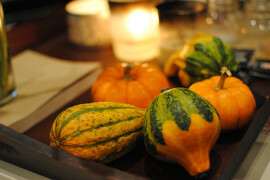 Bring in seasonal decor such as pumpkins, gourds, cornhusks and even straw and hay bales make a great focal point. 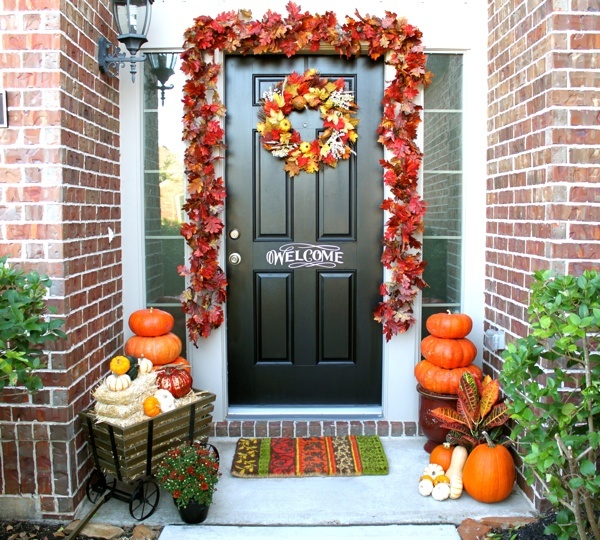 Consider making a “porchscape” at your front entry. Around your front door stack pumpkins on top of galvanized pails or wooden barrels to bring a rustic feel to your front entry. 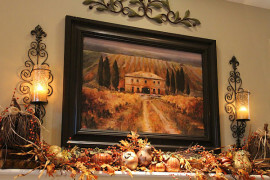 Don’t forget about a gorgeous wreath or garland! 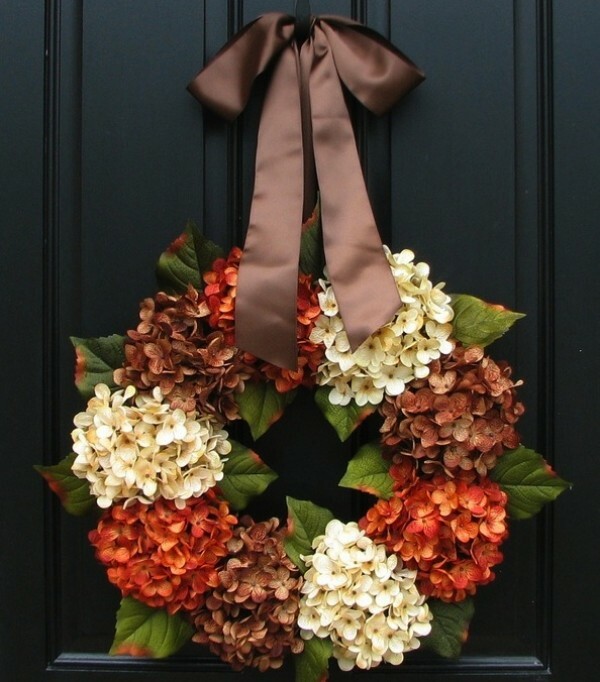 DecorChick shows an autumn infused garland around the door and matching wreath to compliment their festive entry. 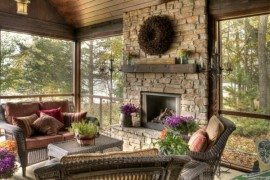 While your outdoor home maybe changing colors and shedding its leaves you can still bring in your own fall ideas to create the perfect ambiance for relaxing in the evening or having a late night get-together with friends. Outdoor lights, lanterns, and even hanging candle chandeliers made just for the outdoors are a trending decor item to add lighting to your evening gatherings. 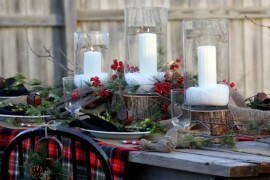 Hang string lighting from trees and surroundings hedges, and incorporate different sized candles in hurricane votive jars to keep the flames from burning out. 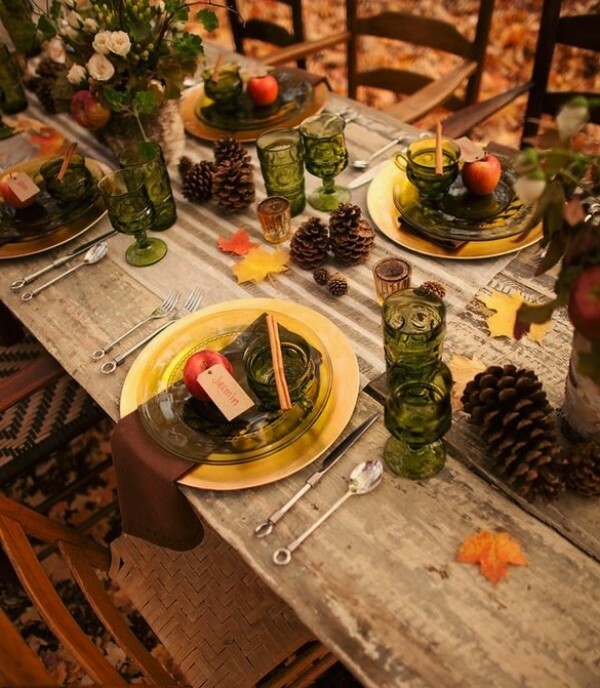 You will love how hanging and candlelight adds to a festive autumn night. 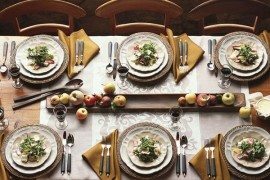 Even if you only entertain in the daytime, a candle chandelier like this one from StyleAtHome adds dimension and a focal point for your fall table. 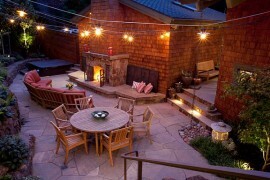 Outdoor lighting looks great in the day too!